Have you watched these videos yet? Letter to the Irish Medical Times – Omega 3 and prostate cancer. The recent media reports implicating dietary omega 3 as a risk factor for prostate cancer in males is likely to generate public concerns about the purported health and safety benefits of dietary oily fish or fish oil supplements. Understandably, health-conscious consumers of omega 3 supplements will be confused by these media reports and may be prompted to question, or even abandon, their long-held beliefs and practices regarding the protective nature of supplemental fish oils. The hypothesis of risk, as speculated by the authors of the SELECT study (published July 11 in the online edition of the Journal of the National Cancer Institute), which gave rise to the media reports, is not, I believe, supported by hard evidence from within the study and the researchers concede only a correlation, but not a cause-and-effect relationship, between omega 3 consumption and prostate cancer. They also omit valuable information about the use of prescription drugs (like statins) by the participants, which inevitably impact on risks to health. The outcomes from several reputable studies contradict the speculative reports by the SELECT authors, showing “fish oil consumption may be protective against progression of prostate cancer in elderly males” (PLoS ONE 8(4):Oct 11, 2012. ), and these findings are supported by population-based studies involving Japanese, Swedish and Eskimo males, who have a low incidence of prostate cancer and who consume liberal portions of oily fish regularly. The absence of hard data from the SELECT study about the duration of fish oil consumption, and the source for the fish, or supplemental products, is one of several weaknesses that in my opinion characterises this study, rendering it perhaps a less than an authoritative guide to healthy dietary practice. 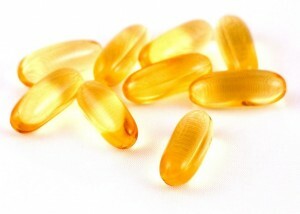 The source of dietary oily fish, or fish oil supplements, may impact significantly on the level of health hazard attributed to trial participants, given the high levels of environmental toxins (PCBs, mercury) that may be present in certain areas of farmed salmon, or inadequately purified omega-3 supplemental products. I have prescribed for my patients, and personally used, a purified form of omega 3 (EPA/DHA) for the past 20 years without any emergent evidence of risk for prostate cancer, and will continue to do so in the foreseeable future.